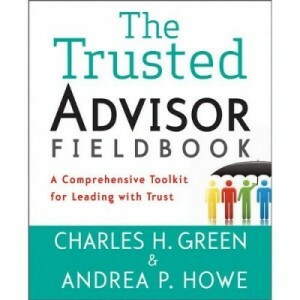 Thought leaders John Sviokla and David Pogue both posted thoughtful pieces about the role of trust in a wired, Web 2.0 world. Pogue—technology columnist for the NYTimes—writes about the positive impact of (intelligently-moderated) blogging on the reputation of the blogging host. Sviolka, Vice Chairman of Diamond Management & Technology Consultants, writes about The Madness of Crowds, focusing on the dynamics of reputation systems, and how the web enhances them. They’re both talking about the web as a means of enhancing one’s reputation—but they emphasize very different parts of trust. Who’s right? They both are, of course, but I’d say Sviokla focuses on what I’ll call Web 2.0 trust; Pogue is talking about Web 3.0 trust. The problem with Wikipedia, and blogs, and user generated content is that many of them don’t have a strong reputation management process. Put another way, any idiot can have an opinion. The most important thing is does the person who is giving an opinion have a good reputation? Is that reputation attached to his or her opinion? Does the person own the downside risk of the adverse effects of their opinion? Sounds good, right? Though, as whimsically pointed out in Trust Isn’t Transitive by Peter N Biddle, just because someone can fly a 747 doesn’t mean they can be trusted to carry a handgun. And though I might buy a book from someone with a good reputation rating on Amazon, that doesn’t mean I’d introduce them to my daughter. That’s where Pogue and Web 3.0 trust come on. Notwithstanding Sviokla’s critique that blogs are unmeasurable and don’t hold people accountable, they perversely have the wonderful ability to humanize. That’s exactly what people are—unmeasurable and hard to hold accountable. And a significant part of how we come to trust them is related to how much we come to know about them—in precisely those hard to measure and slippery ways. As Pogue points out, when Microsoft lets employees blog, you suddenly see the human side of the firm, and the “Dark Side” gets a little lighter. In my terminology (the Trust Equation—Credibility plus Reliability plus Intimacy, all divided by Self-Orientation), Sviokla is heavily defining “trust” in terms of reliability. Pogue is emphasizing the intimacy component—not on blogs alone, but in moderated commented blogs—Diablogs. The intimacy factor is inherently richer, because intimacy is where risk enters the trust equation. People and firms take calculated risks in blogging: how much to moderate, how much to reveal, how close to the edge to get, how one makes those judgments; all these things tell us a lot about the writer, the blog editor, and the firm. Reliabilty says something very deep—but not nearly as broad. Intimacy also gives us the bandwidth of exposure to assess other’s self-orientation. Are they in it for themselves? Or do they seem to care about me? And self-orientation, I argue, is the single biggest factor affecting how we assess the trustworthiness of another. Does Google really mean it when they say they “Do no Evil?” The answer won’t be found in Sviokla’s reputation management systems. It will be found in Google’s willingness to let its people speak, from the heart, about what they think. And, seeing their hearts, we will know the judgment to make about whether to trust them. Not just for book buying, but for introductions to daughters and the like. Sometimes what looks like taking a risk is the safest thing to do in sales.